Former University of Montana Grizzlies quarterback Jason Washington was arrested after simultaneous November 2011 raids on his Missoula, MT Big Sky Health medical cannabis dispensary and a Wye, MT marijuana cultivation site. Washington, a patient in Montana Medical Marijuana Program, was charged with conspiracy to manufacture and distribute marijuana, possession with intent to distribute marijuana, and possession of a firearm in furtherance of drug trafficking crime. Six other people arrested in connection to Big Sky Health all faced the same charges, which carry a mandatory minimum penalty of five years in prison up to a maximum of 40 years, as well as $5 million in potential fines. Jason Washington's arrest followed a March 2011 statewide crackdown by federal authorities on Montana medical marijuana providers. Criminal search warrants were executed on 26 locations in 13 Montana cities on March 14, 2011, following an 18-month investigation by approximately thirty law enforcement agencies. Faced with the prospect of four decades in prison, five of Washington's co-defendants pleaded guilty to conspiracy to maintain drug-involved premises; the sixth indictment was dismissed. 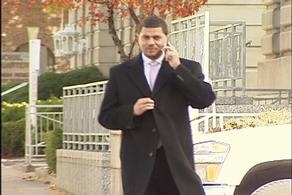 DEA agents intercepted Washington's text message and calls to his cell phone in order to track marijuana transactions. Freedom fighter Jason Washington took his case to a jury trial, despite the fact that federal courts have consistently maintained that no state medical marijuana law is applicable in the federal system. Former business associates who received immunity testified against him during the four-day trial; Washington did not take the stand. Assistant U.S. Attorney Tara Elliott led the prosecution in the trial before U.S. District Court Judge Dana Christensen. Jason Washington was convicted on two marijuana counts but acquitted of a firearms charge by a federal jury in U.S. District Court in Missoula. The verdict was announced on January 17, 2013 after four hours of deliberation. Washington was presented by defense attorney Kwame Manley of Patton Boggs (Washington, D.C). Washington remains on supervised release pending sentencing. Co-defendant Darin Mower, a dispensary operator in Kalispell, admitted to selling marijuana to Washington in a caregiver-to-caregiver transaction; he was sentenced to five years of probation after accepting a plea deal. Co-defendant Jesse Shewalter plead guilty to distribution of marijuana to Big Sky Health after prosecutors alleged he traveled to California to purchase marijuana. Christopher Cronshaw, age 25, described by the DEA as the "head grower" at the Wye marijuana cultivation site, and cultivation employee Greg Zuckert, age 46, each plead guilty to one charge of conspiracy to manufacture marijuana in May 2012; the men were sentenced to 25 days in jail and 3 days in jail, respectively, followed by 3 months home arrest and 4 years of supervised release. Steven Sann, a 58-year-old resident of Lolo, MT, pled guilty to conspiracy to maintain drug-involved premises for having a one-time ownership stake in the Wye grow operation. His January 2013 sentencing was delayed due to illness. The case against Lisa Fleming was dismissed after U.S. District Judge Dana Christensen learned the grand jury heard statements made by the defendant following her immunity deal with prosecutors. Law enforcement agencies involved in the prosecutions include the Drug Enforcement Administration (DEA) and the Missoula High Intensity Drug Trafficking Area (HIDTA) Task Force. "Christopher Cronshaw and Gregory Zuckert Sentenced in U.S. District Court ." DEA.gov. United States Department of Justice, 7 Sept. 2012. Web. 21 Feb. 2013. <http://www.justice.gov/usao/mt/pressreleases/20120907145138.html>. "Steven Sann Pleads Guilty in U.S. District Court ." DEA.gov. United States Department of Justice, 17 Oct. 2012. Web. 21 Feb. 2013. <http://www.justice.gov/usao/mt/pressreleases/20121017143603.html>.